We have tons of fun doing gross motor activities. 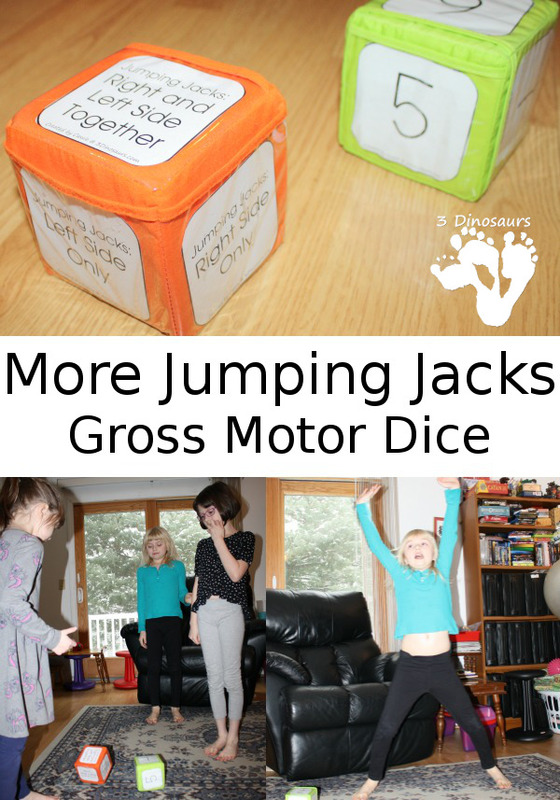 We really enjoyed the Gross Motor Jumping Jacks Dice. It was something fun that we really enjoyed. We had so much fun I thought we would change things up a bit. The last activity we worked on arms and legs. Today we change things up and work on sides of the body. 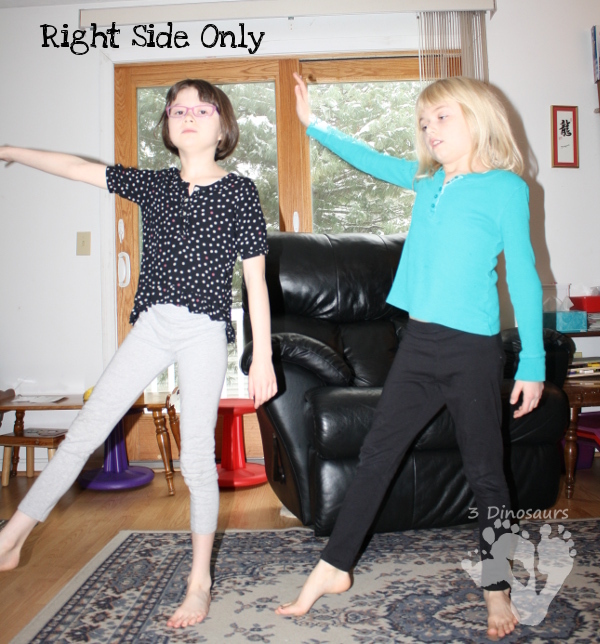 This is another change up of something from normal gross motor activities. Jumping jacks were always one of my favorite activities to do when I taught. I like to change things up so that kids would have fun. My girls enjoy these activities as much as I do. And yes I do these activities with them. It helps keep them and me active. 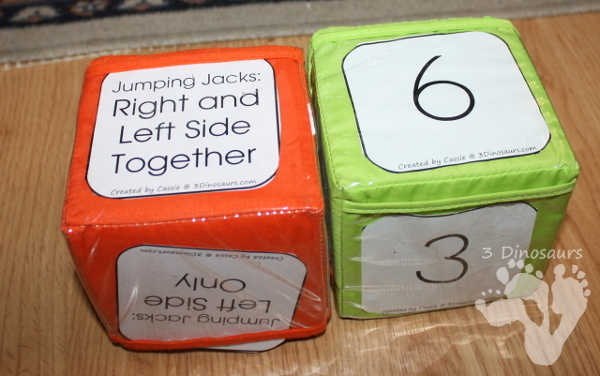 This is just another fun way to break down jumping jacks so kids have fun! 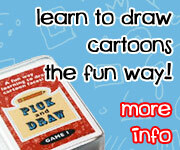 What you need for this activity: jumping jack dice (see link below), photo dice , and number dice: 2, 3, 4, 5, 6, 7. We first start off review what the different movements will be. I show them what right and left side only look like. You can see the three movements: Right Side Only, Left Side Only, and Both Side Together. I always tell them we start as a stick with arms at their side and legs together. This gives them a good visual of what we always look like at the start. One thing I really like about this change is that it helps them remember right and left. When I review this I like to give them a picture of what it should look like. I start them at the stick position. 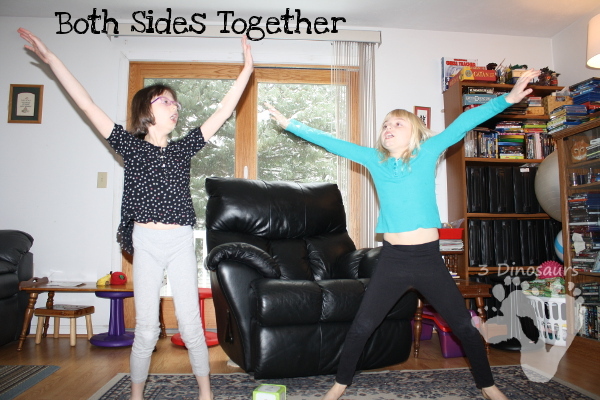 I have them make half their “Y” with their right arm and upside down “Y” with just the right left. I use the terms similar to the other Jumping Jacks Gross Motor. I have them move each apart and then put it together. This allows them to get used to the movement. We repeat the movement a few times. It is almost like stepping on foot out and put your arm up for a cheer. They can put their foot down or just point the foot to the side. After you have reviewed the left side only and right side only, it is time to put them together. Even if you have done jumping jacks before it is fun to review since you will be mixing it up a little bit. I remind them we start as a stick and then jump out to make an “X” with our arms and legs. After you have all the movements roll and have some fun. You can always mix up how you do it with the addition of the slow, fast, normal dice. 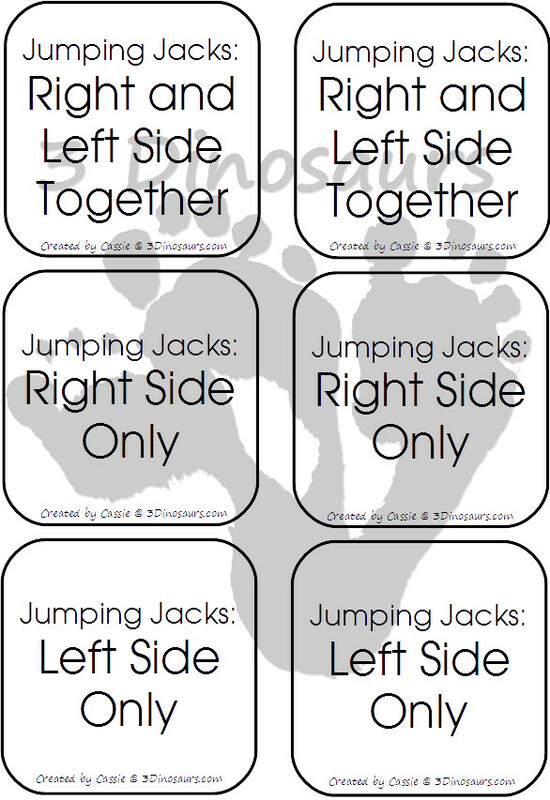 We have also put all the options for both jumping jacks dice together and really mixed things up. 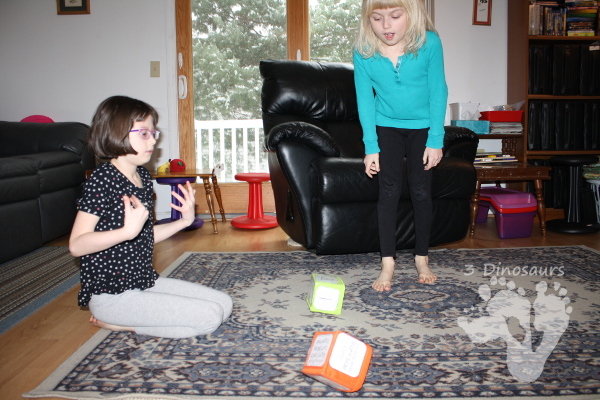 This makes it tons of fun and gets kids moving. 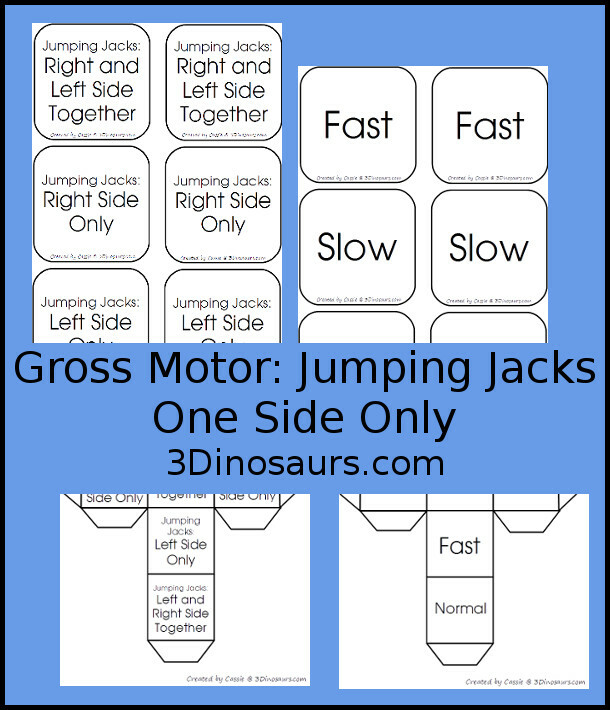 This entry was posted in gross motor and tagged free, gross motor, jumping jacks, printable. Bookmark the permalink. 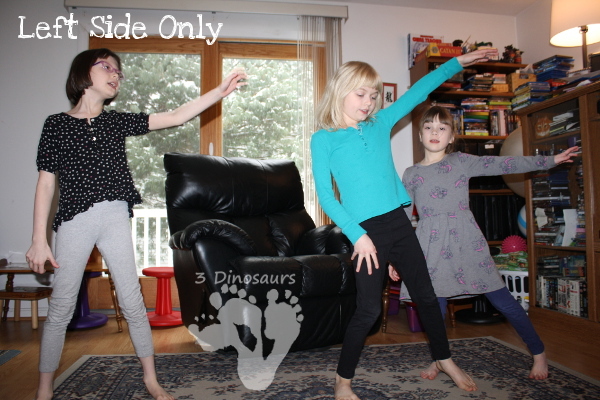 Looks like a fun way to get kids moving as well as reading and following directions. Thanks for sharing this last week on Everything Kids!